I’m continuing to aim high and achieve it. 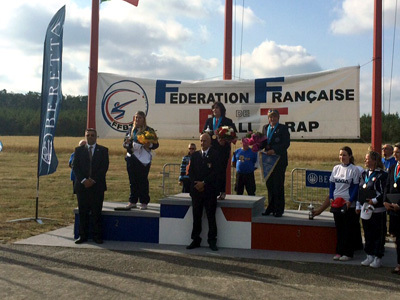 I finished third overall at the 2015 European Universal Trench Clay Shooting championships at Ychoux, France. I shot a total of 186 out of 200 and am delighted with the result. Me on the podium receiving my medals and bouquet.